Verde serves low-income people and people of color by building environmental wealth through Social Enterprise, Outreach and Advocacy. 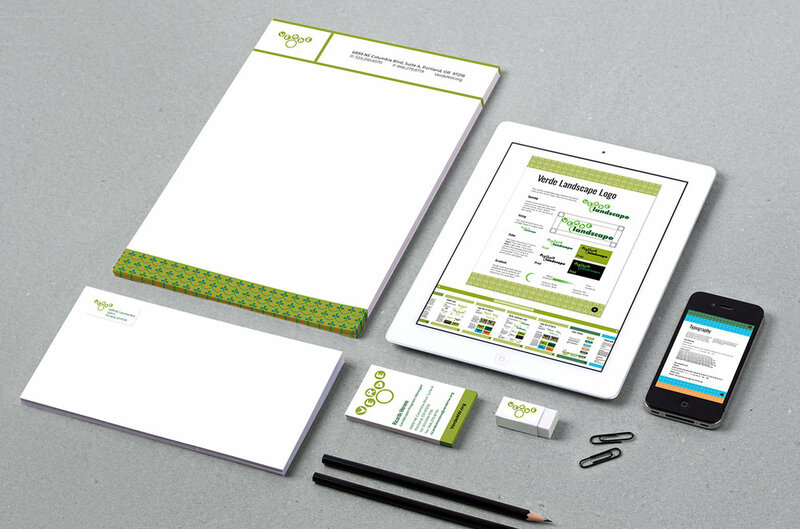 Verde already had a logo they were happy with, but they didn’t have a resource for their internal team to reference when they needed to create marketing and communications materials in-house. They reached out to Visible to try and find a volunteer who could create a Style Guide based on their existing logo, including definition of typeface and color palette usage. “Verde’s mission to revitalize impoverished areas and focus on Portland’s Latinx community was the driving force behind creating this brand style guide and codifying its visual style. 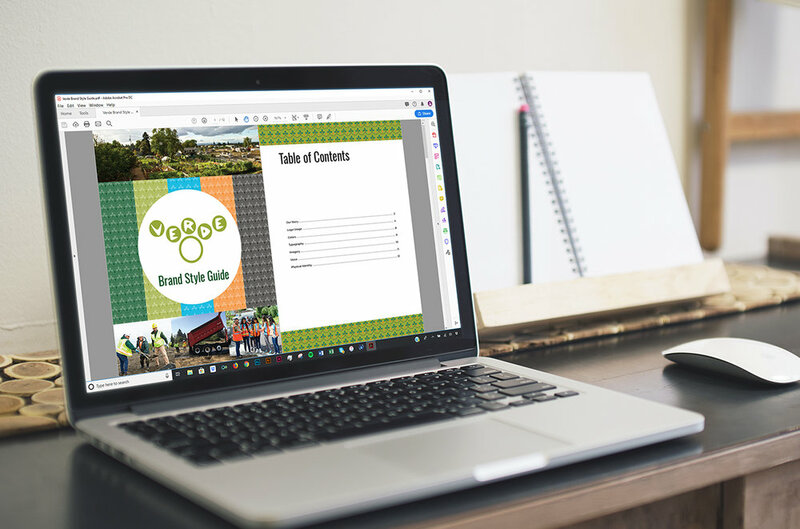 I was able to work with them to help define their look as well as to create an understandable and stylish guide so that they, and anyone who works with them, will have a clear understanding of the Verde image. We went over color palettes, fonts, and patterns inspired by traditional and contemporary Latinx art and Verde’s modern and proactive approach to improving Portland’s underprivileged areas. 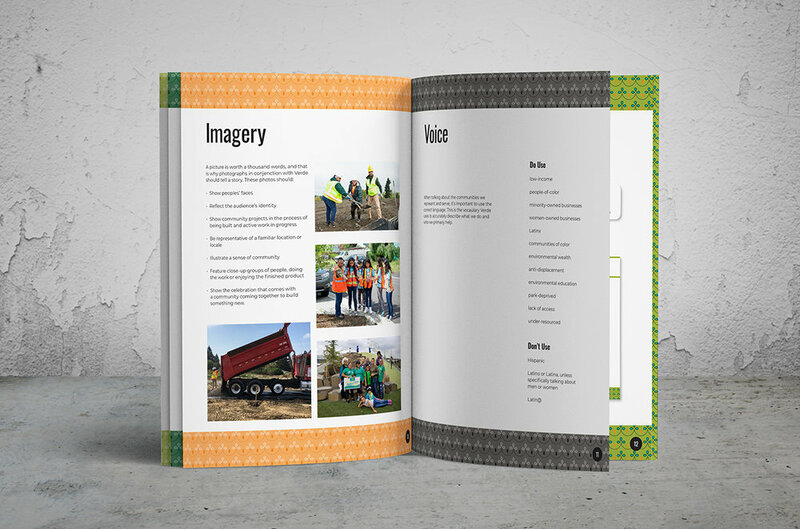 We also outlined the types of photos and language that should be used when creating materials for Verde, as well as clear rules about how to use their logo. Along the way, I also created updated business cards, a letterhead, and address labels to match their new guidelines, and gave them all of the material components to continue their branding moving forward.